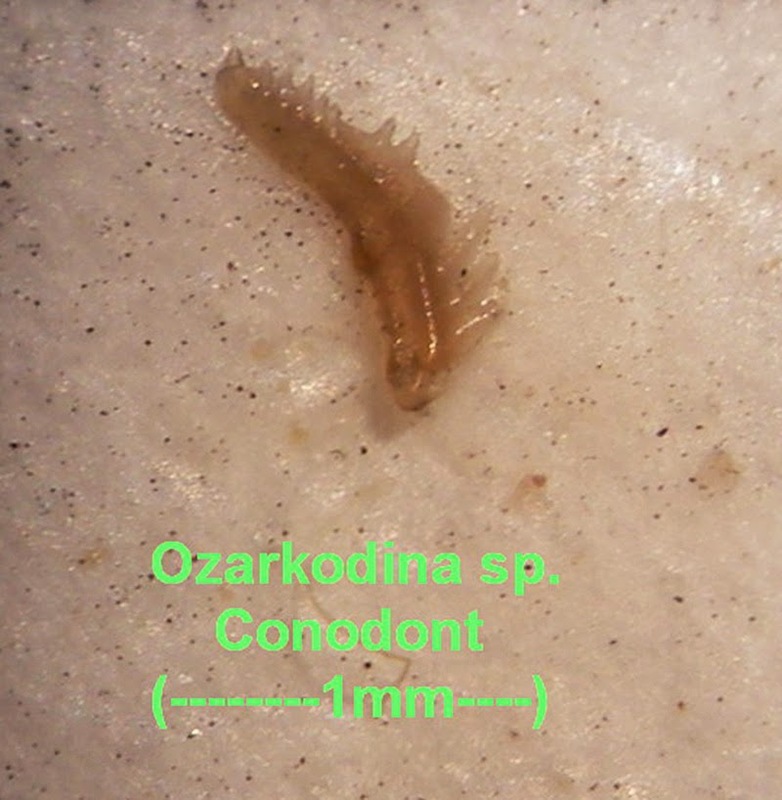 This image shows what appears to be an Ozarkodina conodont fossil. This creature existed in the Mississippian Period. Fossil was found in the Jacob Chapel Shale of Clark County Indiana USA.